What Does Breastfeeding Look Like? features a selection of large-scale prints of breastfeeding mothers. It’s an ongoing project that aims to normalise breastfeeding and challenge prejudices that demand breastfeeding be discreet, private and behind closed doors. Jenna Templeton chats to Suzie Blake about her upcoming Melbourne photography exhibition. I started a photographic project series titled ‘What Does Breastfeeding Look Like?’, last year because I was feeling dissatisfied with the types of images that portray women breastfeeding, which tend to be stylised and don’t reflect the realities of breastfeeding for most women. I felt frustrated seeing models and all these other women looking incredibly glamorous while breastfeeding. I thought ‘I don’t look like Miranda Kerr when I’m breastfeeding! In fact, I look terrible!’ I just wanted to show women looking ‘normal’. 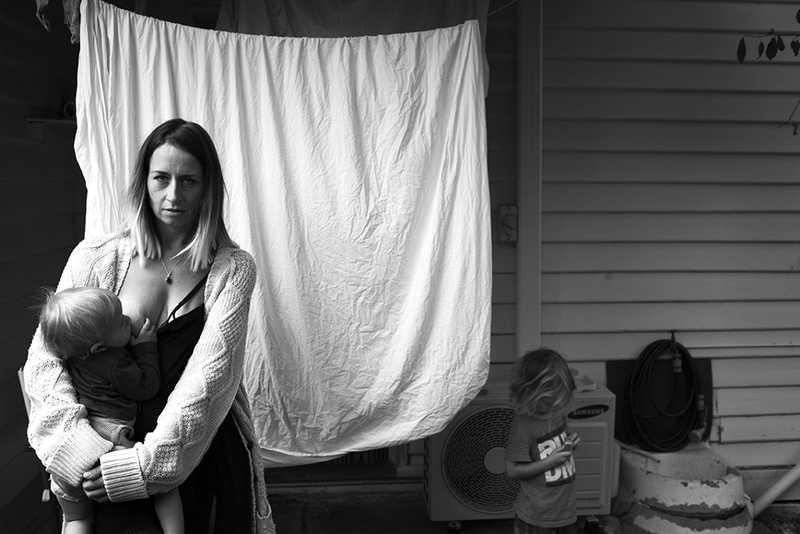 The photographs in my ongoing photo documentary series show women breastfeeding babies in candid situations, at home, cafes, in bed, on the train, inside shopping malls, at the park or beach – wherever and whenever. 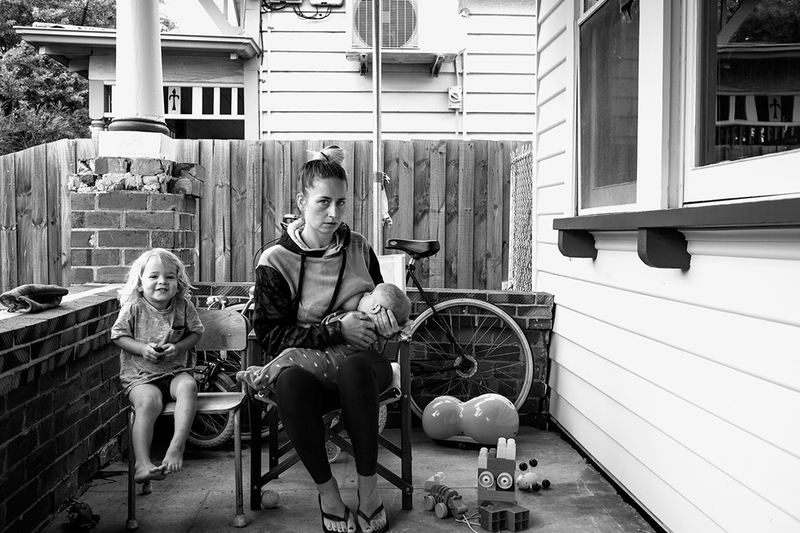 Initially I began this project when I put a self-portrait of myself on Facebook of me feeding my second son Xavier and I asked if there were any other mums who’d like to be photographed in the same way. I was quickly inundated with women who wanted to be involved. Since then, I’ve photographed women in my local area, around Victoria and also the UK. I see the project very much as a collaboration. Certainly I take the photos, but the participants are heavily involved. It’s about women presenting themselves in the way they want, in a non-conventional way. Too often women are sexualised and objectified in the media; the project aims to subvert common stereotypes. Each photo takes about 15 minutes to capture. I only use natural light. I ask participants to simply be. The shot I choose tends to be the one where I feel the mother looks least aware of the camera and possessing a certain strength. I want to show the women as empowered. Being a mother myself, I feel some things are hard, some things are easy. I don’t think society is particularly kind to women and mothers. I don’t think it’s natural or healthy for a mother to be stuck at home all day alone with children. Nor do I think it’s healthy for a mother to be working 18 hour days and never see her children. The problem is, most mothers don’t have a choice. Back in the day, mothers would have a tremendous amount of help in raising children from ‘the village’ so to speak – grandmothers, aunties, cousins, siblings and friends. We’ve lost this and now mothers have an immense pressure to fulfil their child’s every need; it’s extremely challenging. Impossible really. If I could give any first-time expecting mums some advice about breastfeeding, it would be – you can do it! And if possible, surround yourself with loving supportive people. 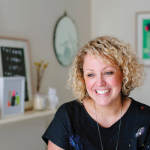 We’re all about celebrating Australian motherhood and creativity here at CHILD: what does it mean to you to be an Australian creative, who’s also a mother? It’s so important. As an artist I have the freedom to express myself and as a woman I think it’s vital that we share our stories and the experiences of other women. 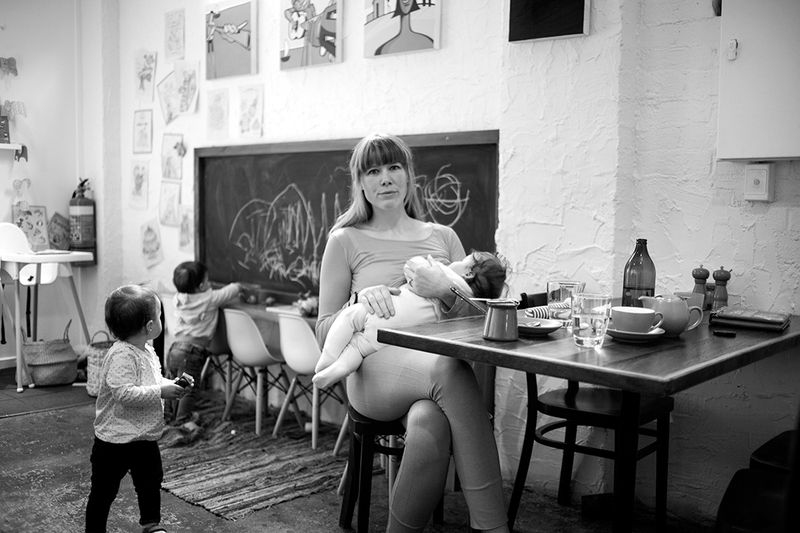 Suzie Blake, 35, is a Melbourne-based artist, photographer and mother to Maximiliano, 3, and Xavier, 1. 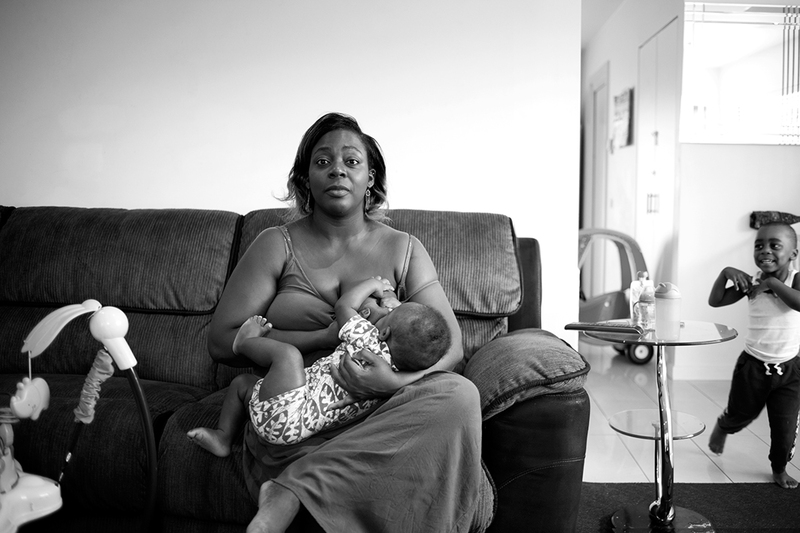 In July 2015, Suzie took a self portrait while breastfeeding her 6-month-old son Xavier and posted the image on Facebook. 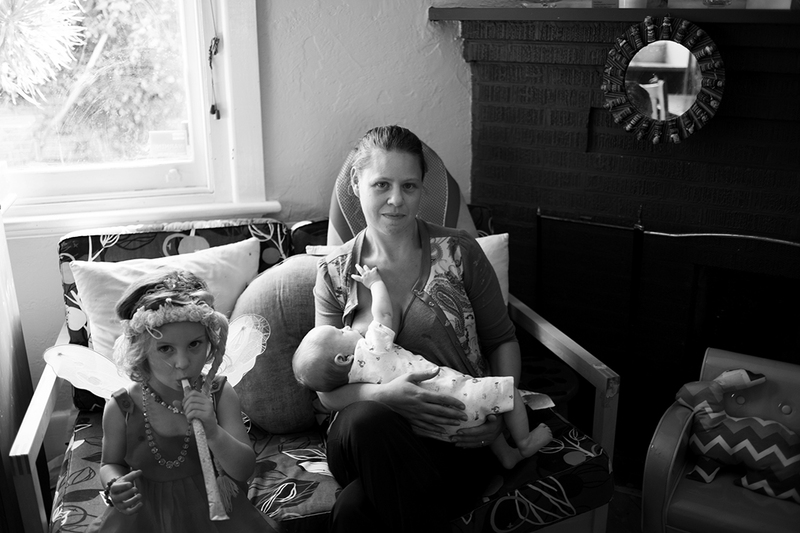 The response from other mothers has been overwhelming, which has led Suzie to create images women can identify with, while firmly positioning the act of breastfeeding into the public realm. Learn more about Suzie’s work and upcoming exhibition via her website, tumblr, Facebook, Twitter and Instagram. Mothers keen to get involved with Suzie’s project, feel free to get in touch.